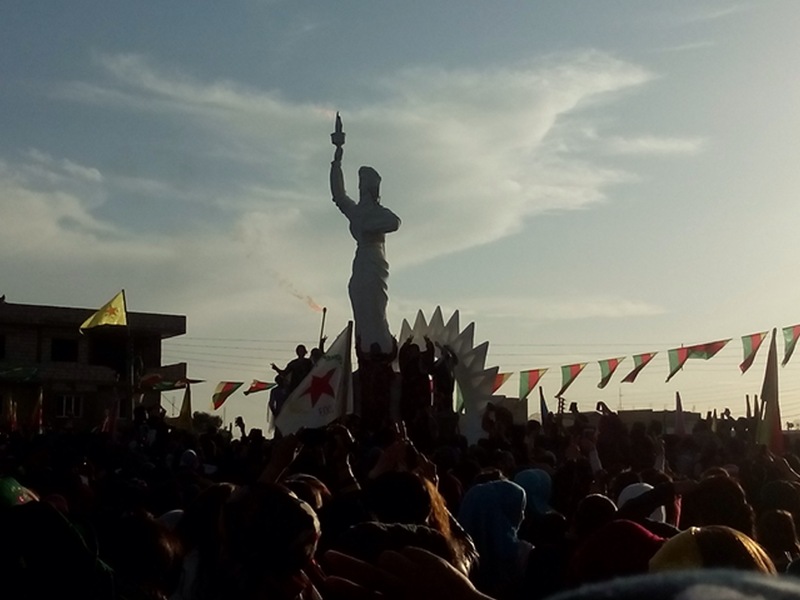 I’ll try to give a first short summary of my trip to Northern Iraq and Rojava/Northern Syria. I visited this area on the occasion of the International Women’s Day to learn more about the situation of women, especially kurdish women. 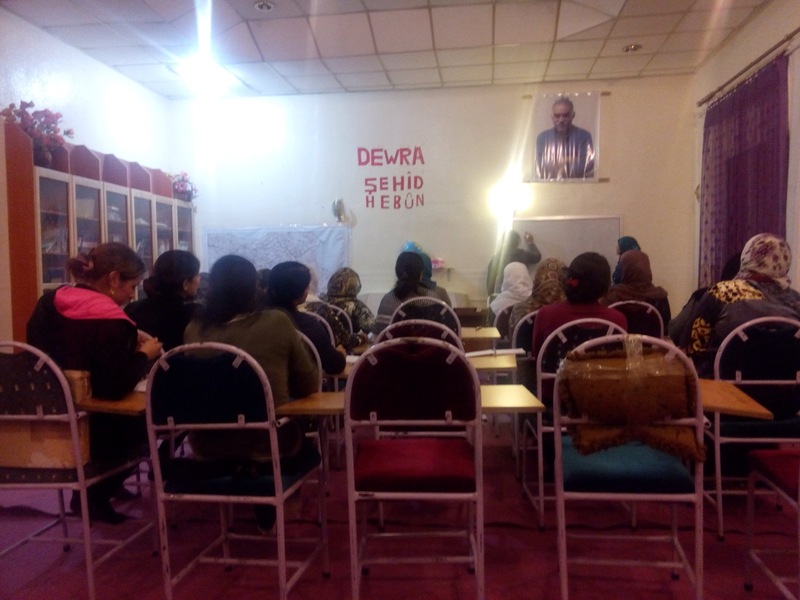 Thanks to the women from Cenî and all the people who invited and accompanied us. While waiting at the border we took a look at some tents for refugees. 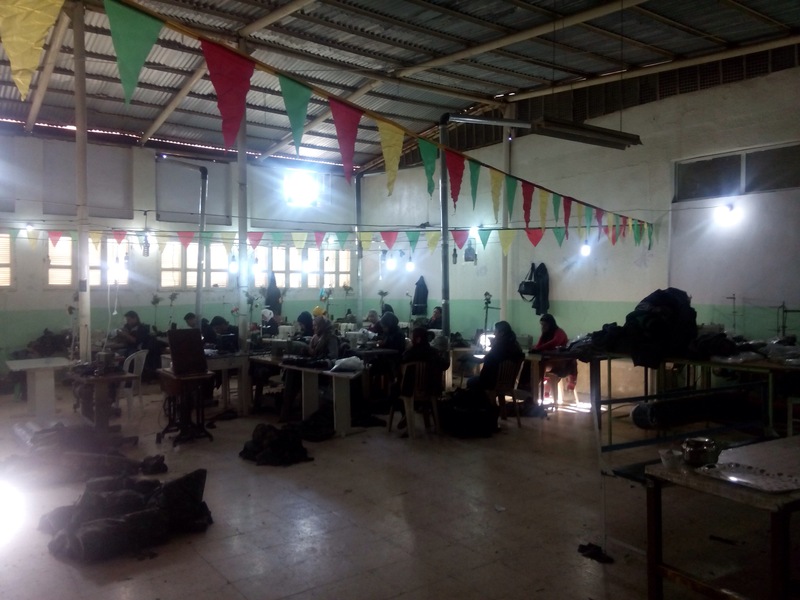 After we finally crossed the border we travelled to Qamişlo, where we stayed the night. 08.03. 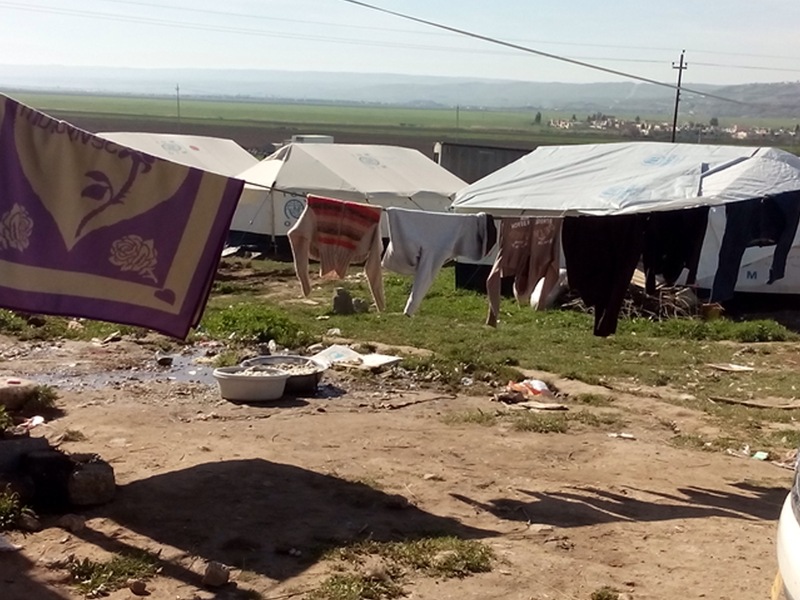 In Qamişlo we met a man, who would become our interpreter for the next days. (He is the person, who has been in prison for some days together with Joakim Medin, the swedish journalist, in February.) 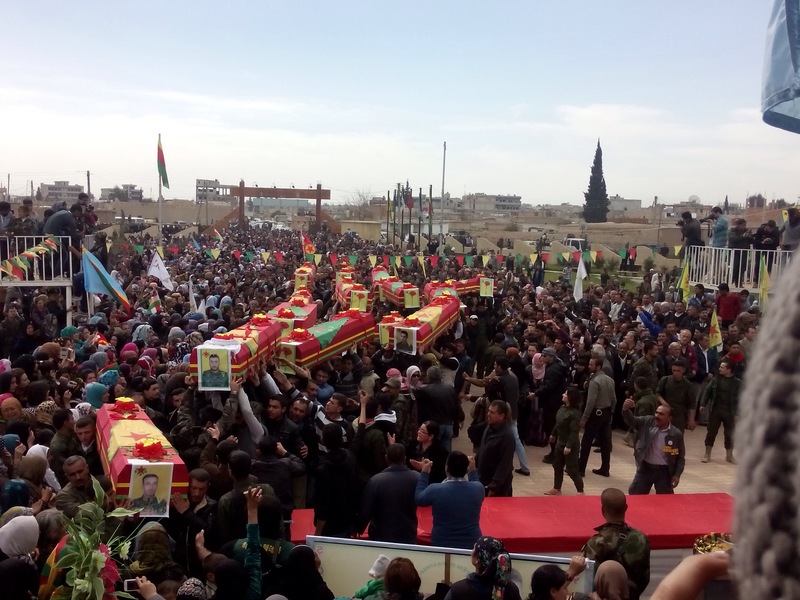 First we went to the funeral of some YPG/YPJ fighters who had died fighting against Daesh. 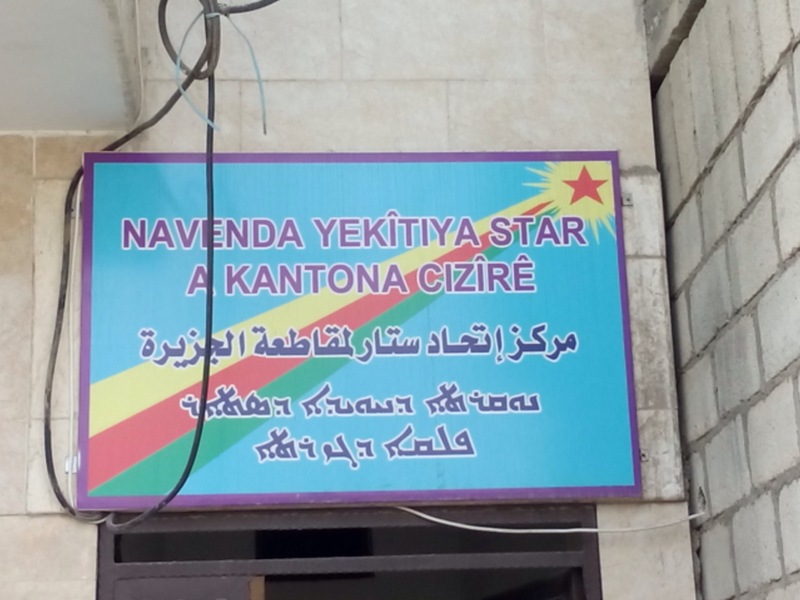 Next we visited an office of Yekîtia Star (a womens organisation in Rojava). 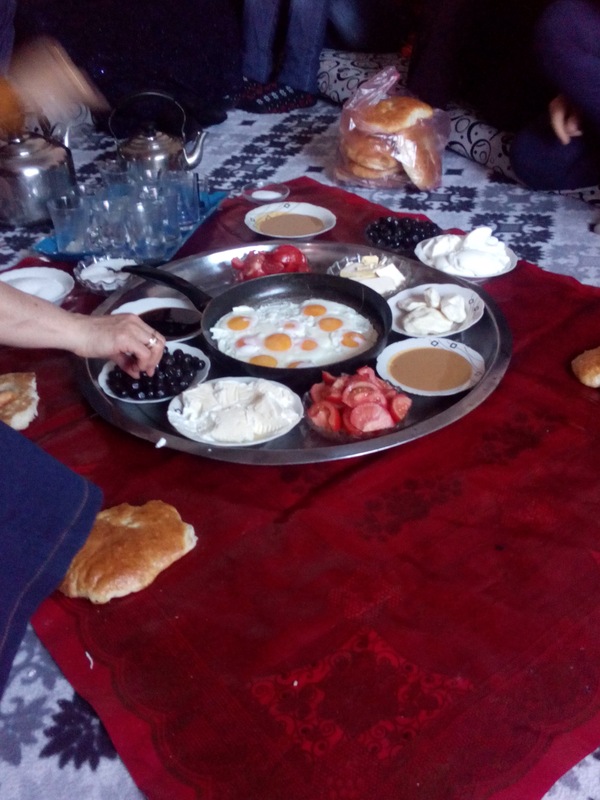 After an interesting conversation about several topics, about their struggle to organize women and their achievements so far, we traveled to Amude to celebrate Womens Day. On the way we took a short look at some ancient ruins near an academy (philosophy) for YPG/YPJ. After some days it gets familiar to me that our driver has weapons in the car. 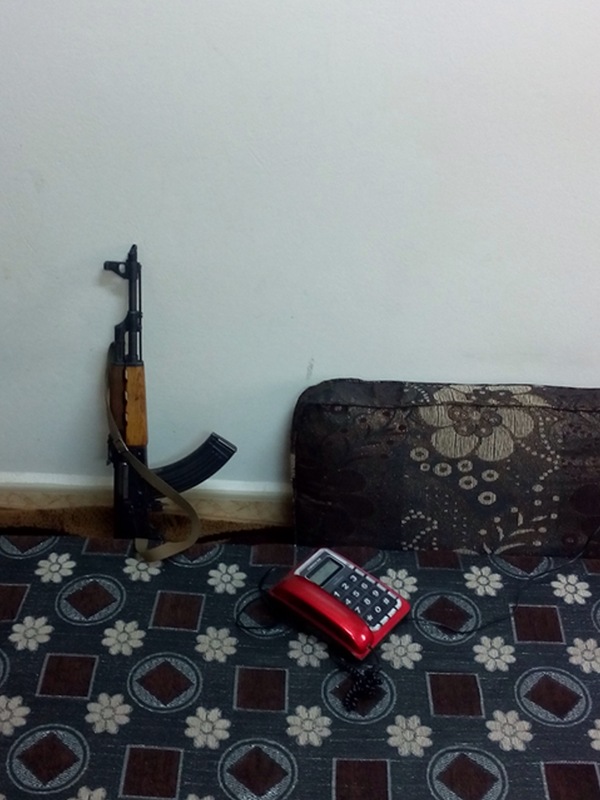 There are always people with weapons near us in Syria. Therefore I felt safe all the time. Interesting feeling. I never felt safe near people with weapons around me before. Here this became different. In this region there is the urgent need to be able to defend yourself or others. 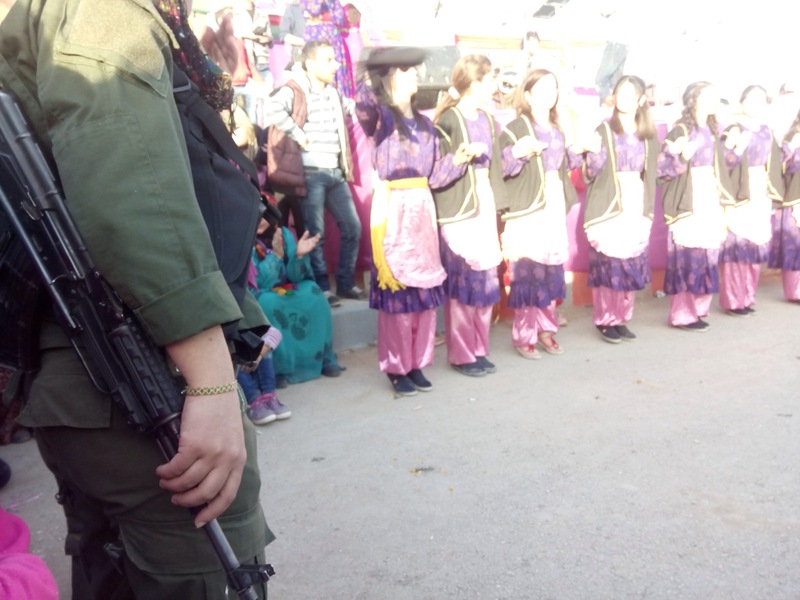 We also met several women and men with a past as guerilla fighters. We talked about killing people and what war does to people (especially women). 09.03. 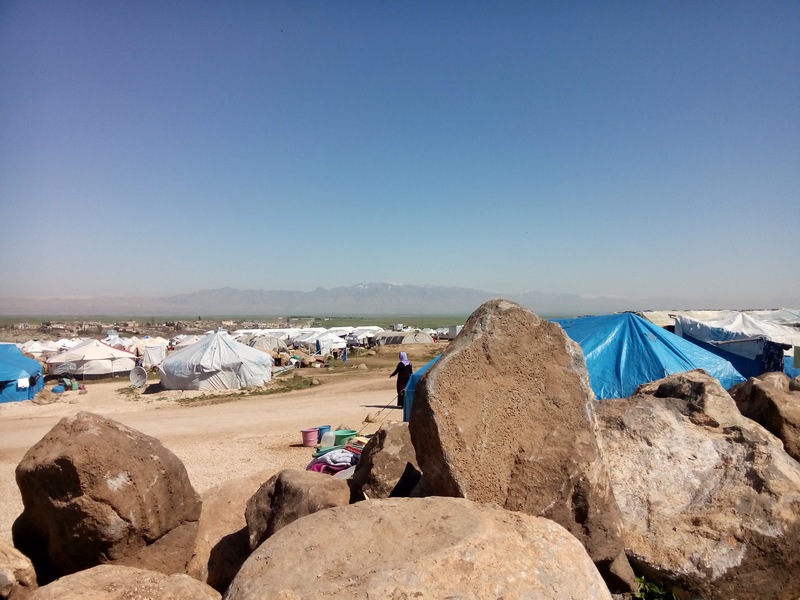 We visited Newroz Refugee Camp. After that we talked to a woman from the Rojova government, visited a cooperative and a womens academy (Rimelan). 10.03. 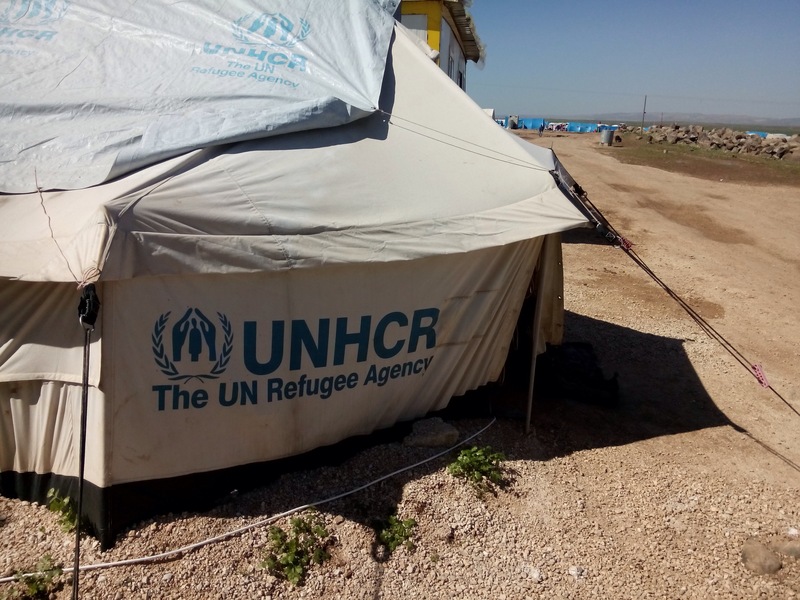 Travel back to Sulaymaniyah (with also another short interrogation at the border). We passed the long time in the car discussing several topics with our friends from Iran, such as socialism, capitalism and feminism. They explained more about the situation of women in Iran, about circumcision, marriage under age, about suicide, women burning themselves (fire is holy), but also about the dangerous situation of homosexual and transsexual/transgender people in the Middle East. 11.03. I had to leave. Alone at the airport a bearded man whose flight is delayed like mine addressed me because I obviously looked european. He told me about his life as a homosexual muslim and that only parts of his family know about this. If I understand correctly his boyfriend is from the USA and he has lived together with him for a while. He is afraid of IS so much (people there name them Daesh, nobody uses IS) and so he sent his partner back. European friends invited him to Europe, but he loves his country and likes to stay there. He studies economics and speaks five languages. On the airport he also told me, he misses his friend so much and that he is on the way to see him again. In the families we stayed with we always felt such a warm welcome. Please feel invited to ask any kinds of questions. I would also appreciate your message if you’d like to learn some more details about parts of my journey. Dieser Beitrag wurde am 12. März 2015 von Birgit Rydlewski in Allgemein veröffentlicht. Schlagworte: autonomy, cooperatives, democracy, feminism, Iraq, Kurdistan, Newroz, Rojava, solidarity, Syria, Yekitia Star, YPG, YPJ.